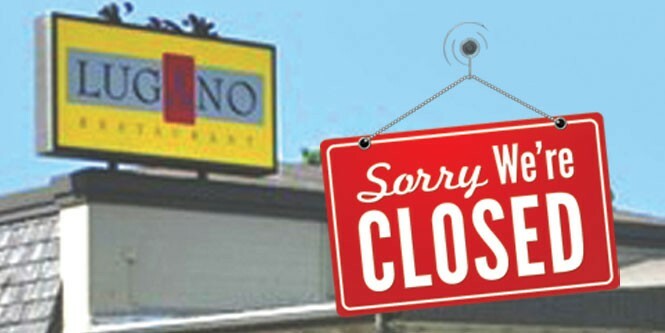 Following a change of ownership and rocky couple of years that culminated this spring with an armed robbery, Lugano Restaurant has permanently closed its doors. Word on the street has it that a restaurant group currently operating a handful of successful Salt Lake City restaurants will open a new eatery in the Lugano Restaurant space (3364 S. 2300 East, Salt Lake City) in the fall. Stay tuned here for further info. A couple months of ago, Briar Handly left Park City's Talisker on Main, where he was executive chef, to open his own restaurant, to be called Handle (136 Heber Ave., HandleParkCity.com). The new restaurant will feature what they're calling "unexpected American cuisine." When I stopped by recently, the new eatery was still under construction in the location in the Gateway Center that originally was home Renee's Wine Bar & Restaurant, followed by Jean Louis and, more recently, Al Dente. Although he's busy readying his new restaurant for opening, Handly will take time out in early August to travel to New Orleans, where he'll be competing in the Great American Seafood Cook-Off, facing off against chefs from around the country. Good luck in NOLA, Briar! As part of its Culinary Expedition: Spirit & Food Pairings series, Snowbasin Resort (3925 E. Snowbasin Road, Huntsville, Snowbasin.com) will host a winemaker's dinner featuring Utah's Iron Gate Wines (see p. 31) on Friday, July 25. The evening begins with a meet-the-winemaker reception with Iron Gate winemaker Doug McCombs at 6 p.m. in Earl's Lodge. The reception will be followed by dinner with pairings such as grilled romaine hearts and crispy pancetta with Iron Gate 2005 Tempranillo; roasted lamb chop with 2009 Roussanne; an entree of seared duck breast with plum gastrique and red lentils; and 2009 Late Harvest Zinfandel paired with a dessert of sea salt dark chocolate cremeux. The cost for the Iron Gate wine dinner is $75 per person, which includes tax and gratuity. For reservations, call 801-620-1021.